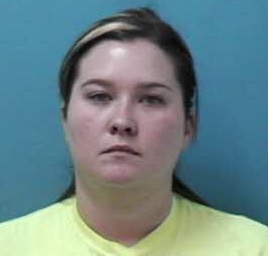 Franklin, TN – A Franklin senior care facility licensed practical nurse is free on bond after her arrest, yesterday, for stealing medication intended for patients. Management notified Franklin Police on September 4 after they discovered 128 Hydrocodone pills missing. The pills were intended for patients, who never got them. During an investigation, detectives identified Brianna Wood, 22, of Columbia, as the suspect. In addition to pills that were simply unaccounted for, detectives found evidence that Wood recorded giving patients their prescribed medication, but actually stole it instead. Wood, charged with Felony Theft, was released on a $1,000 bond after turning herself in yesterday afternoon. She is due in court on 09/25/2014 at 1:00 pm. The care facility has fully cooperated with the investigation, suspending Wood the moment that she was identified as a suspect. Wood has been with the facility for about a year. In addition to the possibility of facing more criminal charges, Wood’s conduct is being reported to Tennessee’s regulatory board that oversees LPN’s.